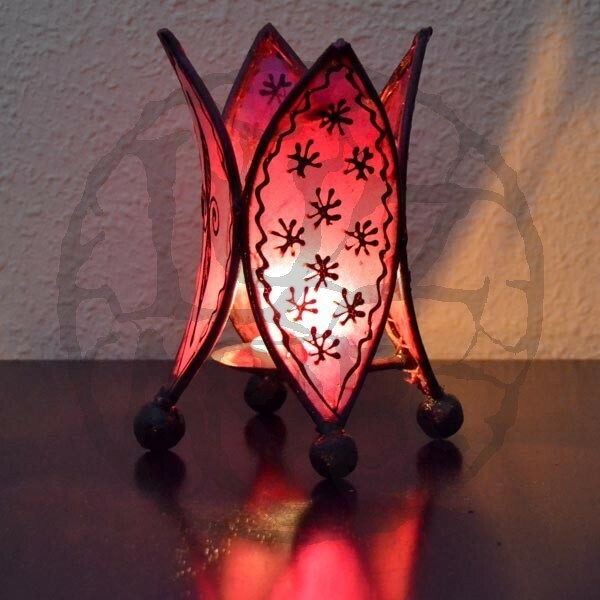 Lily form candleholder of cow , goat or sheep leather treated and hand painted with henna. 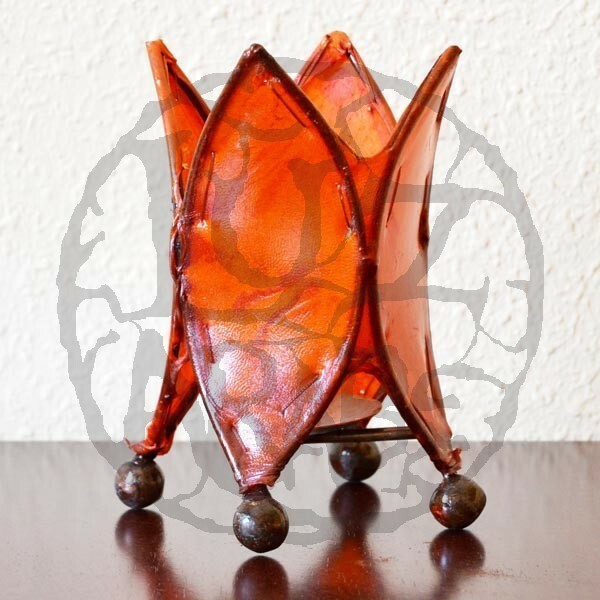 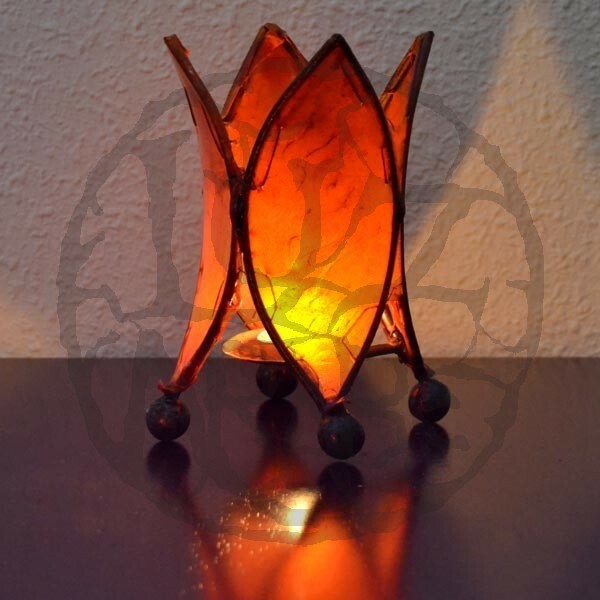 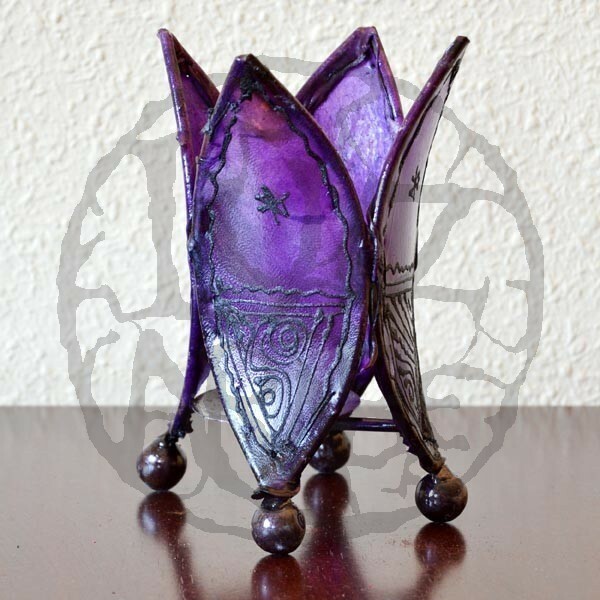 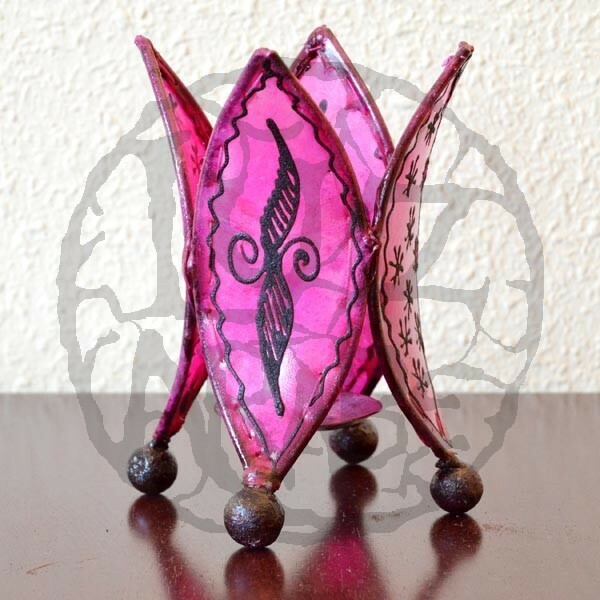 The package includes a lily Moroccan handmade candle holder of wrought iron and leather. This type of candle holder is designed to carry candles. 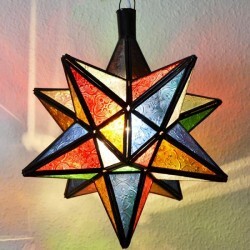 It can be used in the living room, bedroom, kitchen and bathroom. 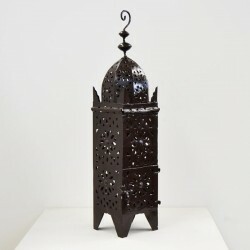 The art of making lamps, sconces and holders of skin has its roots in the culture of the great cities of Morocco as Marrakech, Fez and Meknes Rabat, where craftsmen offer the finest works of art. 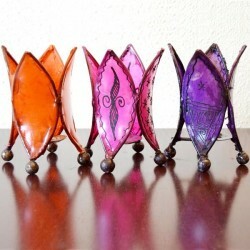 This type of candle holders can be used both with and without light as a decorative object. 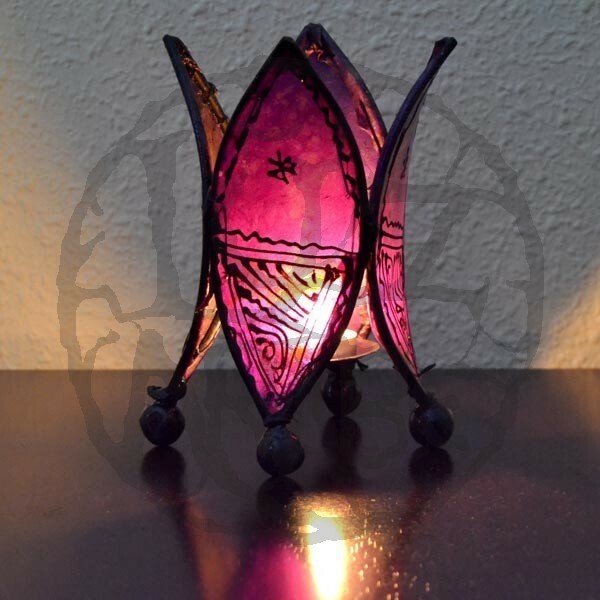 They are ideal for bedrooms, living rooms, and bathrooms with touch comidores Arabic, to create a romantic and cozy atmospher. 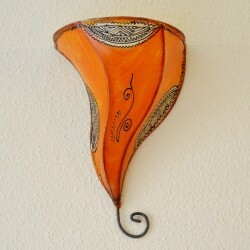 * Leather items are hand painted craft unique items (not standardized), which stick drawing of each item.